Can public memory lead nations to reconciliation? Professor Pamela Klassen investigates how nations are not only politically imagined, but also spiritually invented. 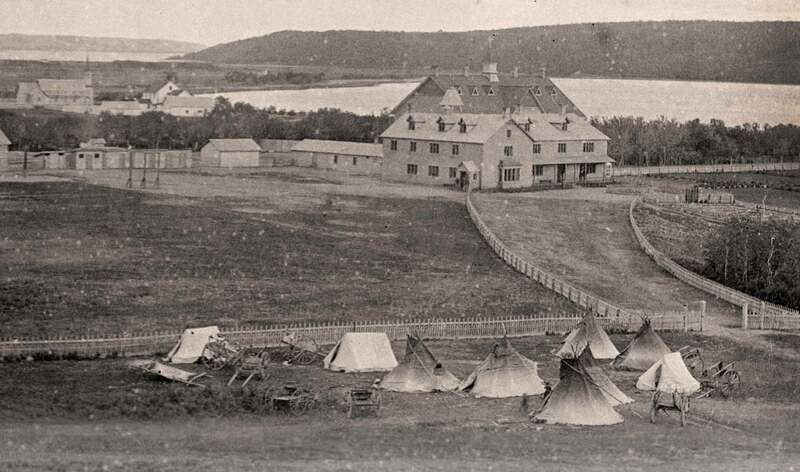 Focused on interactions between Christian missionaries and Indigenous peoples in early 20th-century Canada, her research also considers what remembering this history means for efforts of reconciliation in the present. The Truth and Reconciliation Commission of Canada, aimed at recognizing the victims and giving voice to survivors of the Indian Residential Schools system, sums up Canada’s historical policy towards its Indigenous people as a form of cultural genocide. The goal of that policy, the commission concludes, was to eradicate Indigenous culture. Canada’s past is not unique and, arguably, violence is at the founding of every nation. But in an increasingly multicultural society like Canada, what does it mean to remember the role that churches and governments played in this eradication? How might the study of religion and public memory contribute to the reconciliation called for by the TRC report? Professor Pamela Klassen views the Truth and Reconciliation Commission as a project of public memory; other projects may include anything from public memorials and museums to works of history and acts of graffiti. Memorializing the past doesn’t simply tell a story, Klassen argues; it actively shapes the present. In doing so, recognizing past injustices in their full scope allows us to reflect on contemporary conflicts over religious difference. Combining her training as an anthropologist of religion with historical studies, Klassen’s work has focused on religion in juxtaposition with gender, childbirth, biomedicine, and missionary colonialism. In recognition of her work, Germany’s Humboldt Foundation recently honoured Klassen with a five-year, Anneliese Maier Research Award to lead an international research project exploring how “categories of religion and multiculturalism shape, provoke, and complicate projects of public memory.” To this end, Klassen will organize a series of interdisciplinary workshops and conferences with colleagues in Toronto, Germany, and elsewhere. One way Klassen offers new perspectives on historically-rooted, religious conflict is by critiquing the concepts we normally use to negotiate our diversity. For example, in After Pluralism: Reimagining Religious Engagement (2010), a volume Klassen co-edited, she and her colleagues critique “pluralism” as a social ideal of promoting social cohesion across religious and cultural differences. Klassen turns our attention to how those religious and cultural differences are constructed in the first place to set up pluralism as the perceived solution. The discourse of pluralism, Klassen contends, institutes certain norms of social and political engagement while rendering others impossible or invisible. In practice, pluralism sometimes imposes arbitrarily rigid distinctions on religious and ethnic groups, fomenting the same conflict it aims to dissolve. In addition to questioning the rhetoric dominating the public discussions of religious diversity, Klassen also uncovers ways in which religion can reside unseen in ostensibly secular activities of the state. For example, we tend to view land claims as political conflicts pitting the secular interests of the state against the religious and cultural rights of First Nations peoples. By analyzing such conflicts through an anthropological lens, Klassen shows that Canadian historic claims to sovereign land rights also appeal to spiritual or religious ideas for their justification. The goal for Klassen and her colleagues is “to forward rigorous reflection on how the media, material, and rhetorics of memorializing the past profoundly shape the present.” Only with such a clear grasp of the sharp conflicts of our past can we hope to work towards reconciliation today. Who profits in political chaos?